The principal owner of NY Vintners has been collecting my paintings since 2001 and up until now the bulk of his collection has been on private display in his home. Currently a selection of recently acquired paintings in addition to a couple paintings dating back to 2001 are on permanent display at NY Vintners wine shop/Event space. Along with a Monopoly print 2001 (a few of the edition of 50 are still available for purchase) NYV is displaying: Budda 2009, Birdsss 2009, Chair 2003, Eiffel Tower 2007, and Telephone 2004. 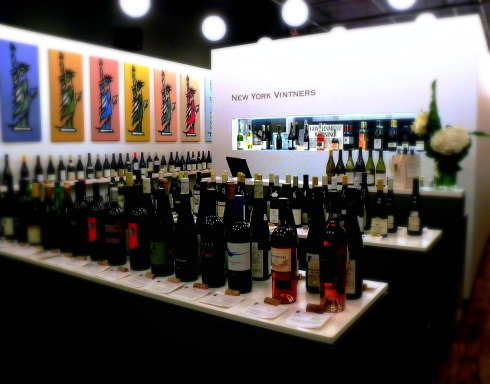 NY Vintners is located at 21 Warren st. (Tribeca, NYC) Near City Hall off Broadway. NYV operates a succesful online business along with their architecturally stunning Shop/Event Space…The entire location is modular and can be converted via floor tracks into an enormous space able to entertain 100’s of people with a full open view restaurant sized kitchen in the back. It really has to be seen in person, I have not come across any place like it in NYC or elsewhere. Stop in to say hello check out the wine and the art. NYV has grown to become a world class operation you should investigate. Wine expertise and great events, become a fan on Facebook and stay on top of all the happenings in the world of wine.